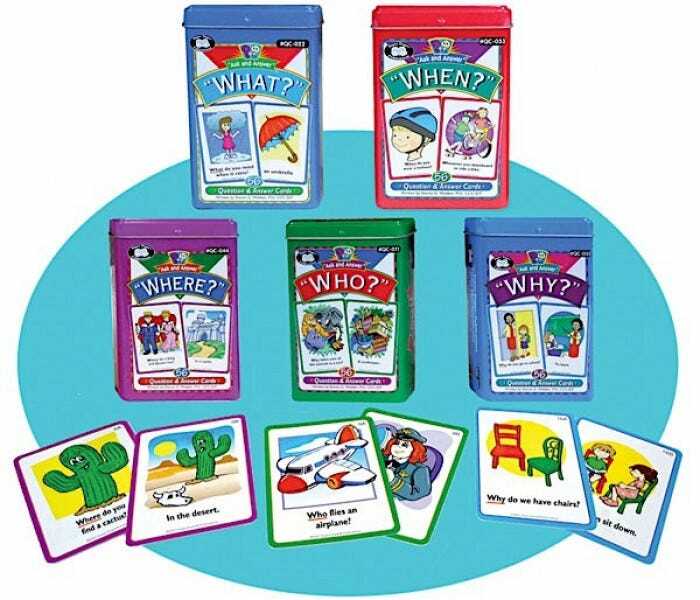 Innovative question and answer card series with child-friendly art encourages language development, improved vocabulary, and basic reasoning skills. Dig deeper into Wh questions with these extensive Fun Decks. 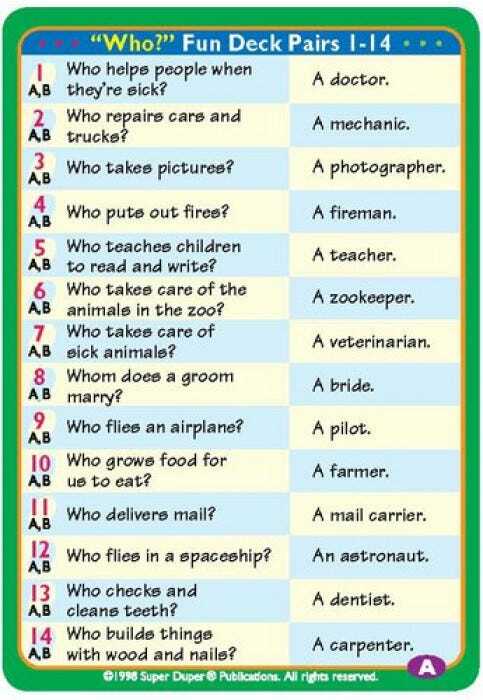 Perfect for teaching all about asking and answering Who, What, When, Where, and Why questions. Also a great resource to help improve listening and reasoning skills. 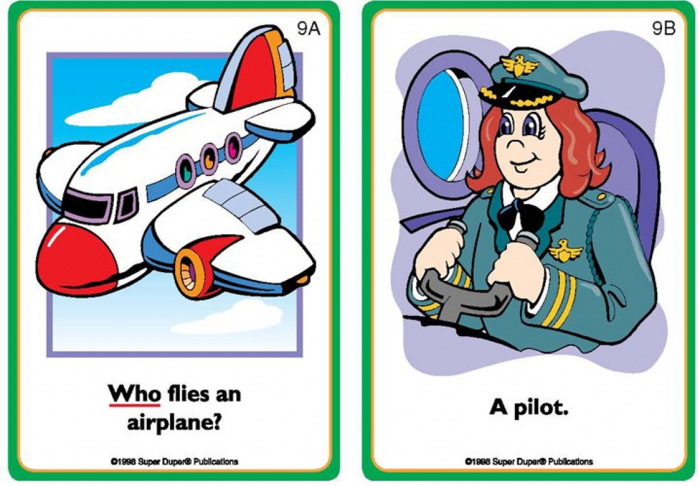 Each deck focuses on a specific Wh question with 56 question and answer cards. Front side of the card features a written Wh question along with an appealing, full color cartoon to visually reinforce the text. Back side of the card shows the answer along with another helpful illustration. Total of 280 colorful, illustrated cards (2-1/2" x 3-1/2") in five decks (Who?, What?, When?, Where?, Why?). 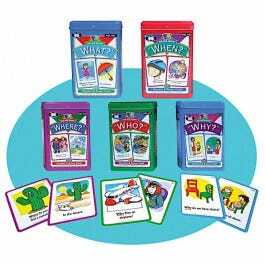 Each deck also includes instructions/activities and content cards in a sturdy tin. 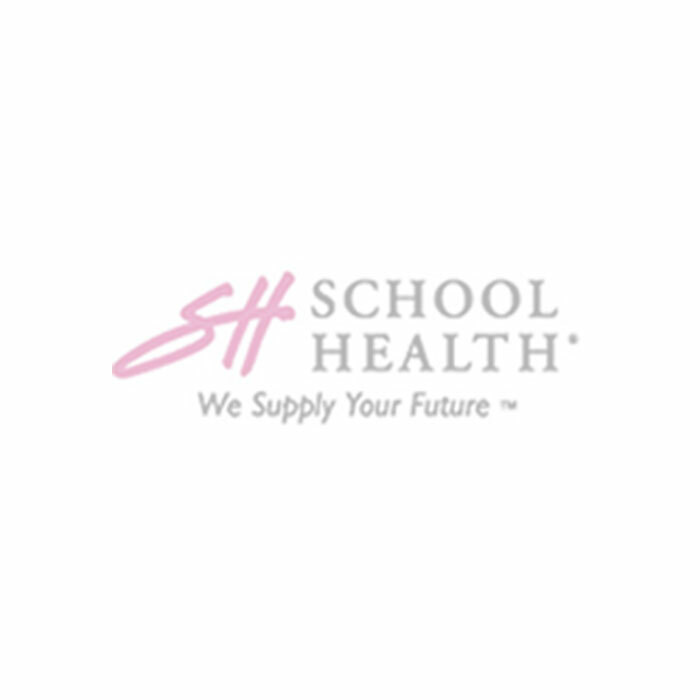 Grades PreK - 6.